India is the major global producer of mangoes and the largest global supplier of mango puree, for domestic and export markets. European processors and traders often complain about the difficulty to read the Indian mango market. 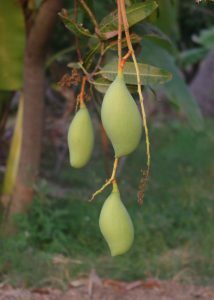 For this reason, I’m sharing background information about Indian mango. My experience in mango is based on working five years for Bioversity, the CGIAR research institute in Delhi, protecting the diversity of mango trees. At Mercadero, I am promoting certified organic mango puree from India. here over 1000 mango varieties exist according scientists in the 1950s (Mukherjee 1953). 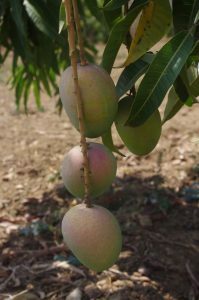 Personally, I have been involved in a mango research project, where we have tried to map and describe this wide range in mango varieties, from commercial varieties to landraces. The project identified 211 distinct named varieties across 5 Indian states and key scientists estimated that the total number of varieties will be several thousand across the whole country (Sthapit et al. 2016). Only about 25-30 varieties are sold in major cities and about 5-8 varieties are exported, such as Alphonso, Totapuri, Dashehari, Banganapalli and Kesar (Lamers et al. 2016). 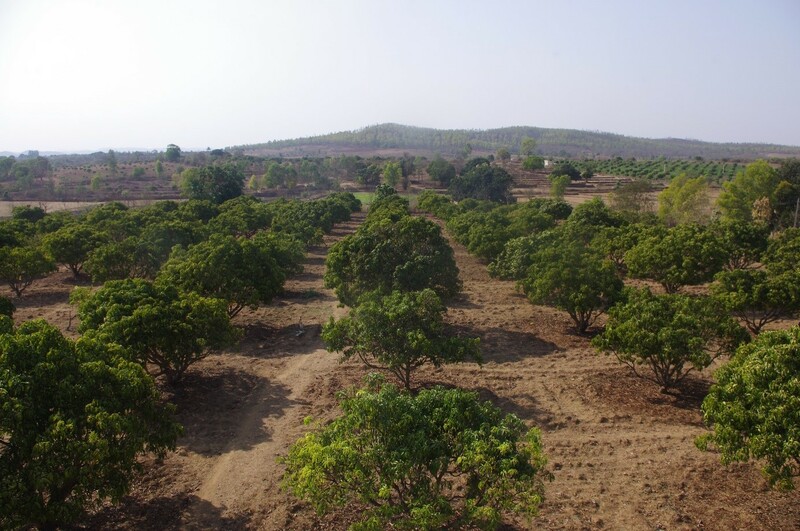 Each village and region in India has its own popular variety as mango trees are “GxE sensitive”, meaning that the soil and climate have great influence on performance and quality. In India I often joked, if you tell me your favorite mango variety, I will be able to guess which state or region you are coming from! For example, the variety Alphonso (named after Afonso de Albuquerque, Portuguese conqueror of Goa) originates from Ratnagiri in Maharashtra at the Konkan coast, where the best quality of this mango is found. It makes a significant difference in quality if you purchase so-called Western Alphonso or Southern Alphonso, as brix and pulp density is superior from the Konkan coast. The best quality Dashehari is found in Malihabad near Lucknow and for Totapuri (meaning ‘parrots beak’ in Hindi due to its shape of a bird) you better look at the border zone of Tamil Nadu, Karnataka and Andhra Pradesh. Knowing where your mangoes and orchards are located, means knowing their quality! Asking for the weather in India is like asking what is the weather in Europe: too difficult to answer! India weather is strongly influenced by the South West Monsoon (June-Sep) and North East monsoon (Oct-Nov). The mango season in India starts in March-April from the South West and moves towards the North East in June-July, similarly as the rain season moves up the continent from Kerala towards New Delhi and Calcutta. Especially South and East India are affected by a second smaller monsoon in October-November (North-East monsoon). Mangoes need hot and dry weather to ripen and with the hit of the monsoon the mango harvest season ends. If too little or too much rain has fallen during monsoon, this will influence the mango crop next year. Ultimately, for the last three years, the monsoon seems to be later, shorter and more erratic, according to TM Gajanana of the Indian Institute of Horticultural Research (IIHR) in Bangalore. More out-of-season rains were recorded too, but this varies across States. Thus, when inquiring about the weather, better to ask the weather for specific mango growing belts! Most mango pulping and processing factories targeting exports are found in Chittoor area in Andra Pradesh, although several are also based in Krishnagiri (Tamil Nadu) or closer to Mumbai (Maharashtra) and in Gujarat. TM Gajanana, senior scientist from Indian Institute of Horticultural Research (IIHR), informed me that from 2009 up to now, the number of pulping factories has risen from only 20 towards more than 60 in Chittoor area, which illustrates over-capacity in pulping facilities in India. Mango tree production depends on flowering, which is often the first indicator of the yield for the coming season. Flowering starts in December-January in the South and lasts till February to the beginning of March in the North and can be distorted by sudden rains or heat waves during this period. Not all trees will flower equally in one orchard especially for varieties like Alphonso. A mango tree can produce from 20 kg up to 200 kgs per harvest season. Mango yield is thus difficult to forecast, as it also varies a lot across years. In India, the yield is often expressed in a percentage from its optimum and highlighting its divergence from the long-term average, which is 50% of this optimum. This average is also called a bumper crop and is generally understood as 4 ton per acre. Thus 10% below bumper crop is the same as 40% of optimum. 100% is the optimum of an individual tree, but this is never achieved on average per orchard or growing belt. The table below gives the classification of crop sizes used in India. Of course, these figures are merely rules of thumb. As Mr TM Gajanana explain, nowadays you see more and more high-density orchards, where about 100 trees are planted per acre which gives a much higher yield per acre (2 to 3 times more).